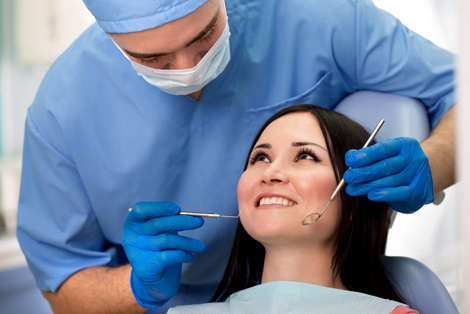 A dental crown is a tooth-like “cap” fixed over your weak or damaged tooth as a protection. At DS Dental, we provide the treatment to help you restore chipped, fractured and damaged teeth. Our dental experts ensure that the crown used in the process matches surrounding teeth to maximise your beautiful smile. Visit our clinic to get results with a cosmetic treatment using crowns performed by our skilled oral practitioners. No more worrying about that damaged tooth! Call us for an appointment and we will fix it with a crown. What material do DS Dental use in their crowns? 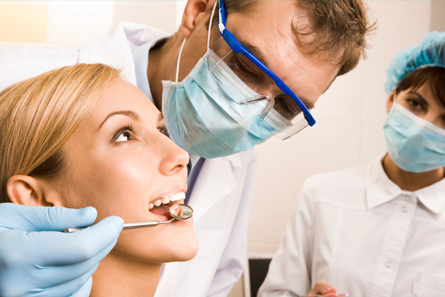 Dental crowns are made using a wide variety of hard materials. We decide on material based on the kind of treatment you need. Porcelain bonded metal crowns: This kind of crown is designed using a metal base with a coating of porcelain over it. Porcelain crowns: These are not as strong as bonded crowns but are a perfect solution for you if you do not grind teeth. Precious metal crowns: These are constructed using gold and palladium and are very strong. We generally use this material in the back of the mouth. How are crowns fixed over your teeth? When you visit us for the first time, our dentist will examine your teeth thoroughly taking an X-ray to ensure that your tooth root is healthy. Following this, impressions of your teeth are taken to design your crown. After a week or two, you will be fitted with your customised crown after you have selected the shade you want. (For front teeth). Note: The longevity of your crowns totally depends on how you maintain them. They can even last for a decade with proper care and maintenance.